You are currently browsing the tag archive for the ‘Northwest’ tag. 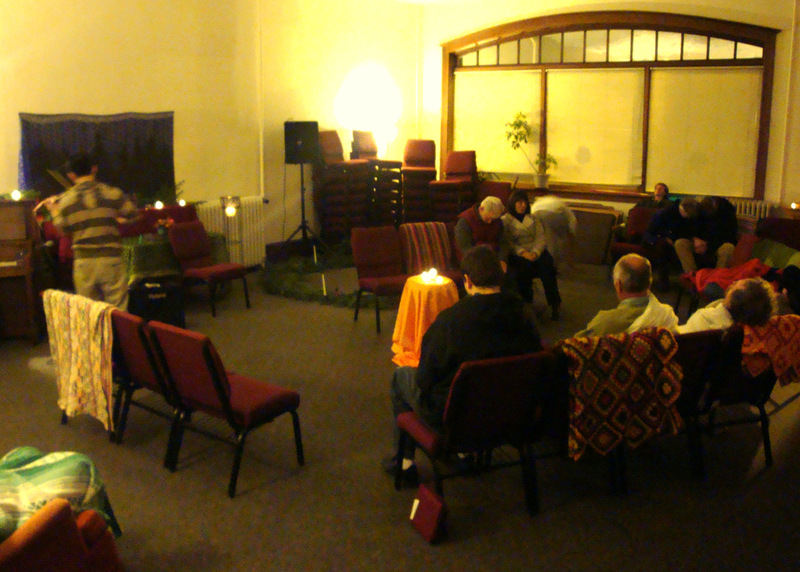 We had a wonderful night of soaking in Daddy God’s presence last Wed at Tierra Nueva (in Burlington, WA). 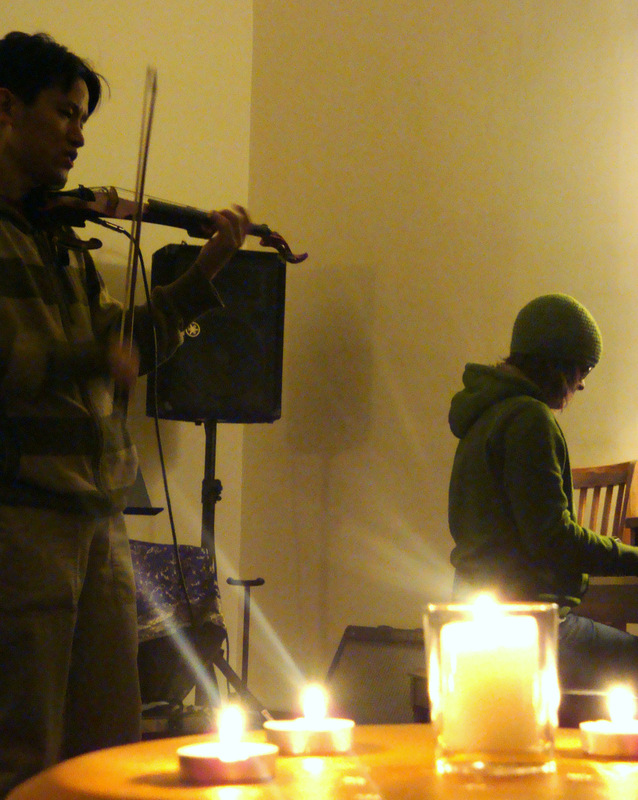 It was my second time playing with Sara, and it was an amazing set again. This time, we had a chance to talk beforehand about how we would like to flow musically in the Holy Spirit. How she would create “space” for me to roam freely on my electric violin, and vice versa for her to “solo” more on the piano. Of course, as what we play is all spontaneously improvised, it is hard to “plan” in advance! It was a very restful, peaceful set, and people were blessed and touched by the LORD. 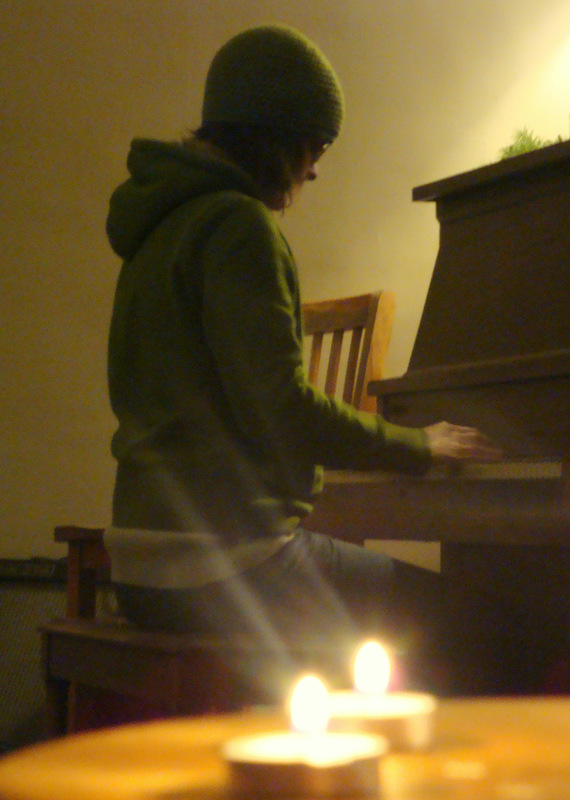 Sara and I played for more than an hour, and we ended up on “Be Thou My Vision” to close the set. I was glad that some of my friends from the Seattle area drove up to hear us, and God did not disappoint them. Here are some more pictures from that night. This upcoming Wednesday (12/2/09), at 7:30 pm, I will playing/leading an instrumental soaking set with Sara Wevodau at Tierra Nueva, in Burlington, WA. 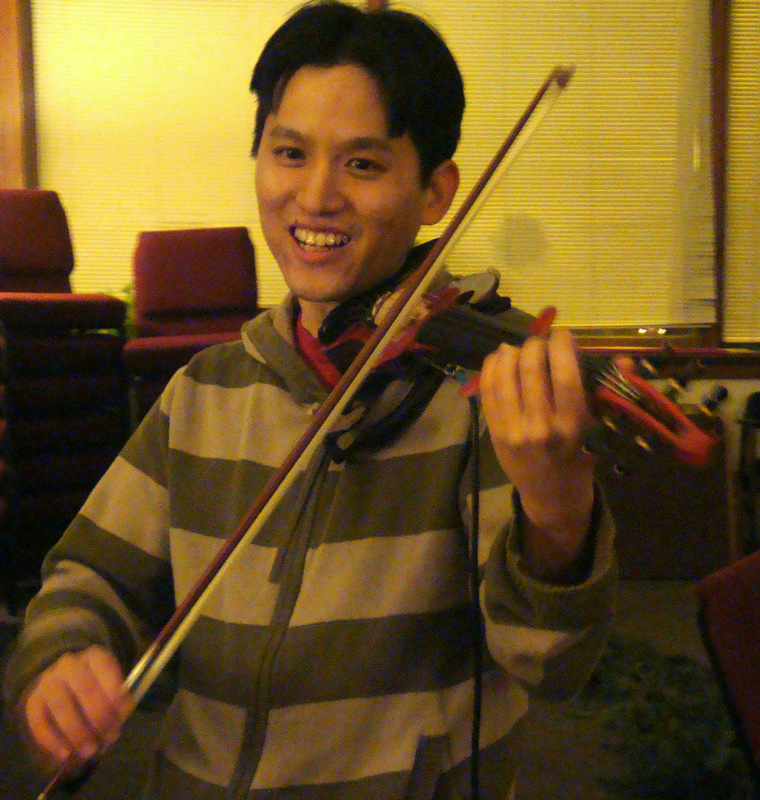 I will be playing my 5-string electric violin, while Sara will be on the piano. We are planning to play the same spontaneous, Holy Spirit-led style music as we did last time, when I came up to TN in September. So, if you are in the area, feel free to come out to soak! The address and directions to TN are at their website, which you can access by clicking on the photo above. Hope to see you there! I have morphed my old Light Amp News Blog into a “new” blog providing updates of significant kingdom events in my local region (the greater Seattle, Washington state area). My tagline for the blog is “encountering Jesus in WA and beyond.” So, if you are living or traveling in Northwest US, be sure to drop by heaven invading washington and see what’s going on! There is a soaking weekend coming up at my church, Word of His Grace, in early October. If you are in the Seattle area, come out and soak! (it’s free!) The details are below. This is a weekend for you to spend a lot of time with God, resting in His presence. We will have intimate worship, and brief sharing on the Father’s love and our intimate journey to bring you further into His presence and intimacy with Him. We will then allow plenty of time for “soaking in His presence” as a part of each session. The goal of this weekend is to bring you into deeper intimacy with God, and to facilitate encounters with Him in His presence. Come & spend time with Him! There is no registration fee, we will take a love offering. Directions to Word of His Grace church in Bothell, WA.